December 4, 2016 at Avocados and Coconuts in San Francisco, CA. A fundraiser for Skate Like a Girl showing two films featuring all lady skaters. First we showed an extended trailer for Quit Your Day Job then we showed the feature length film Getting Nowhere Faster. Getting Nowhere Faster is the original all lady skateboarding film that was produced in 2004 by Villa Villa Cola, a collective of artists, skaters and surfers. Some members include Tiffany Campbell, Lisa Whitaker, Nicole Morgan, Alex White, Lori D, and more. Getting Nowhere Faster features skaters like Vanessa Torres, Amy Caron, Alex White, Lyn-Z Adams Hawkins, and many more. Quite Your Day Job is the first film since Getting Nowhere Faster to features female skateboarders. It is scheduled for release in February 2016. Director, Monique O’Toole, worked at Meow Skateboards and was a skate instructor before becoming a freelance filmmaker. Quit Your Day Job is her debut film. 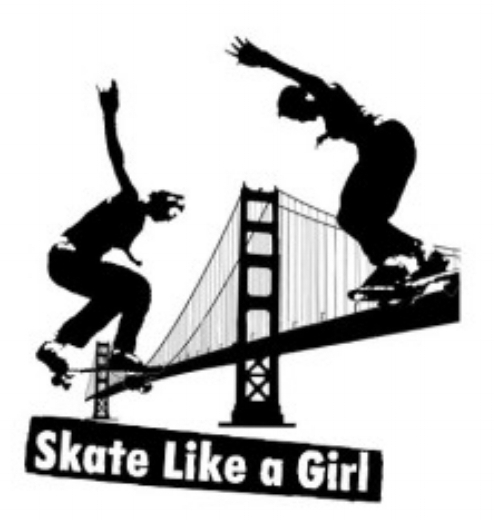 Skate Like a Girl is a volunteer driven nonprofit that aims to create an inclusive skateboarding community. They empower all ages and abilities by hosting skate dates, clinics, summer camps, shows, and events. So far they have chapters in the San Francisco Bay Area, Seattle, and Portland. All proceeds go to support them.